These standards specify: the required filter performance in a system to achieve good indoor air quality taking into consideration the outdoor air (BS EN 13779); and classify air filters based on their lowest filtration efficiency i.e. the percentage of particles able to pass through a filter (BS EN 779). Specifically, the National Planning Policy Framework should make it impossible to build new schools, care homes or health clinics near existing air pollution hotspots, and any redevelopment of such existing buildings should only be approved if they reduce pollution exposure for their users. Building regulations should provide for existing schools sited near pollution hotspots to be fitted with air filtration systems. schools – decreases from 27 (without ULEZ) to 4 (with ULEZ). CAL wrote to the Rt. Hon. Jeremy Hunt MP, Secretary of State for Health, on 30 March 2013 warning him that air quality in hospitals may be no better than warehouses. CAL told the Secretary of State for Health that the Department of Health’s (DoH) guidance for healthcare premises (Engineering Health Technical Memorandum HTM 03-01) had not been updated to ensure compliance with BS EN 13779:2007 [or BS EN 13779:2012] which sets standards for the selection of air filters to achieve certain standards of indoor air quality in non-residential buildings based on local outdoor air quality. University College London Hospitals NHS Foundation Trust (i.e. University College Hospital, National Hospital for Neurology and Neurosurgery, Eastman Dental Hospital, Royal National Throat, nose and Ear Hospital, Heart Hospital and the Royal London Hospital for Integrated Medicine). Royal National Orthopaedic Hospital NHS Trust. An internal review was requested on 21 January after no response was provided in relation to BS EN 13779. 3. As far as CAL is aware, no response has been received from the Chelsea and Westminster NHS Trust despite two acknowledgements from them and three follow up requests from CAL. Information was released under the Open Government Licence for Public Sector Information. Camfil UK, world leader in air filters for buildings, has supported CAL’s campaign to build public understanding of indoor air quality in London since 2011. Camfil has not been involved in any aspect of these information requests. “Hospitals and other healthcare facilities have particular needs, even excluding those of staff and visitors and the impact of outdoor or ambient air quality, because patients are vulnerable and diseases are prevalent. Every hospital should be required to test indoor air quality and publish the results. 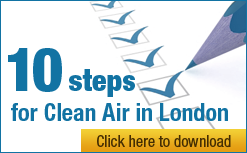 “Clean Air in London therefore applauds Barts Health NHS Trust, Great Ormond Street Hospital, Royal Free London NHS Foundation Trust and University College London Hospitals NHS Foundation Trust for confirming they are fully compliant with the most up-to-date standards for air filtration to maintain indoor air quality. King’s College Hospital NHS Trust may also be compliant. “Hospitals are uniquely vulnerable and exposed to heightened risks of health, fire and safety hazard. Hospitals and healthcare facilities in Europe may not be taking seriously enough the need to protect people from outdoor and indoor air pollution as well as bio particles and airborne infection. ASHRAE, a building technology society with more than 54,000 members worldwide, has estimated that up to 20% of hospital infections may now be attributed to airborne bacteria and viruses. “CAL strongly believes patients, staff and visitors to hospitals should be protected from dangerous airborne particles and gases from outside and within healthcare premises not just ‘dust’, ‘odour’ and ‘staining on surfaces’ as the current Department of Health (DoH) guidance (Engineering Health Technical Memorandum HTM 03-01) largely seems to imply. BS EN 13779:2012 should be the basic requirement for all healthcare premises with mechanical ventilation and elsewhere. G4 filters recommended by DoH are ‘coarse filters’, appropriate in warehouses or workshops to remove ‘dust’, or as ‘pre-filters’, sometimes in dusty environments to protect the main air filters from blocking, not ‘general ventilation filters’ as stated in the current DoH guidance. HEPA filters should be the norm – not the exception – for operating theatres and other high care environments, whether: integrated into central air handling systems; installed at the point of use above the ceiling; or used as portable units. “It is important to remember a hospital may have air conditioning, mechanical ventilation and/or air filtration or any combination of these – or none of them. Indoor air quality standard BS EN 13779:2012 is supported by BS EN 779:2012 which sets a minimum efficiency; for example, removing 35%, 55% or 70% of particles at 0.4 microns. Higher quality, low energy air filters, such as those using micro fibreglass media, together with a large surface area to reduce operating pressure drop can achieve and sustain much higher particle efficiencies at a lower total lifetime cost, as energy may account for up to 70% of the total cost. Ultraviolet light may eliminate some pathogens but does little or nothing to eliminate particles or gases. “It seems there is a still a fundamental failing in DoH guidance for healthcare premises, including hospitals, that may be entirely cost-driven with little or no attention given to the need to putting ‘Patients First and Foremost’ and ‘protecting patients and people who use services from avoidable harm’. Indoor air quality in parts of some London hospitals may be no better than warehouses. 1. British and European standards BS EN 13779 and BS EN 779. BS EN 13779 The British and European standard (BS EN 13779:2007) focuses on achieving a comfortable and healthy indoor environment in all seasons with acceptable installation and running costs. It is a national standard in all European countries. It specifies the required filter performance in a system to achieve good Indoor Air Quality taking into consideration the outdoor air. The outdoor air is categorized in three levels, from ODA 1 [Outdoor air Quality] where the air is pure except for temporary pollution such as pollen, up to ODA 3 with high concentrations of both gases and particles. BS EN 779 The British and European standard for air filters (BS EN 779:2012) entered into force in 2012. Its purpose is to classify air filters based on their lowest filtration efficiency. This latter is also referred to as minimum efficiency (ME in %) which is the lowest of any of the following three values for particles with a diameter of 0.4 micron (m): initial efficiency, discharged efficiency or efficiency throughout the test’s loading procedure. This is 35%, 55% and 70% for F7, F8 and F9 air filters respectively i.e. 65% of particles with a diameter of 0.4m can pass through an F7 air filter. BS EN 1822 This British and European standard for air filters is based on particle counting methods that actually cover most needs for different applications. That DoH guidance: recommends the use in general areas of G4 filters (which are appropriate in warehouses or workshops to remove ‘dust’ or as ‘pre-filters’); and advises that the use of high-efficiency particle air (HEPA) filters, which can reduce significantly methicillin-resistant staphylococcus aureus (MRSA) and other environmental contamination, should be kept to a minimum. An investigation by CAL in March 2013 found that DoH’s guidance HTM 03-01 for air filtration for healthcare premises, including hospitals, had not been updated to ensure full compliance with British and European standard BS EN 13779:2007 or BS EN 13779:2012 for indoor air quality. BS EN 13779:2007 entered into force eight years ago and BS EN 13779:2012 has been best practice for indoor air filtration since 2012.